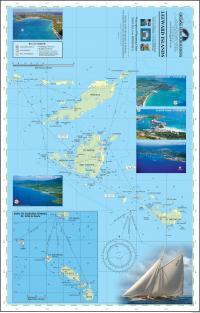 Printed on two sides this new chart includes the Windward Islands of Martinique, St. Lucia, St. Vincent and the Grenadines, and Grenada. 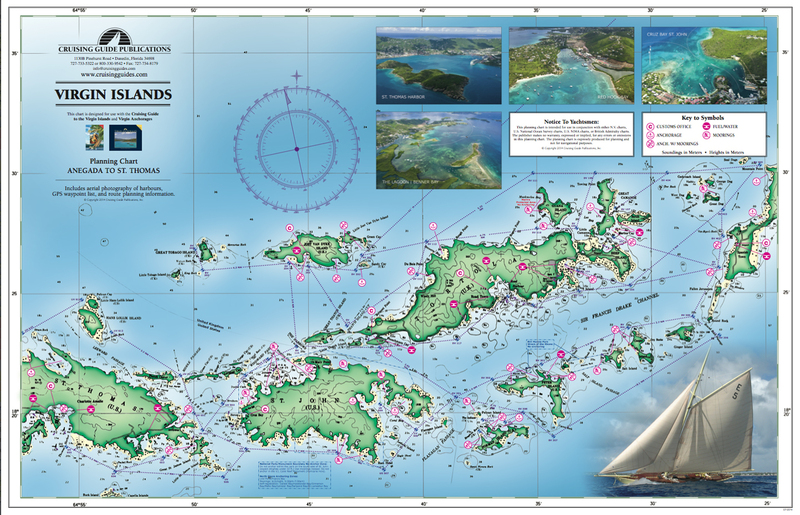 The chart includes anchorage and mooring locations as well as GPS coordinates, sailing routes and distances between waypoints. The waterproof chart is excellent for the cockpit and attractive enough to hang on the wall when you get home. Printed on two sides this new chart includes the Leeward Islands from Anguilla to Dominica, covering Anguilla, St. Martin & Sint Maarten, St. Barts, Saba, Statia, St. Kitts, Nevis, Redonda, Montserrat, Antigua, Barbuda, Guadeloupe, Marie Galante, the Saintes, and Dominica. 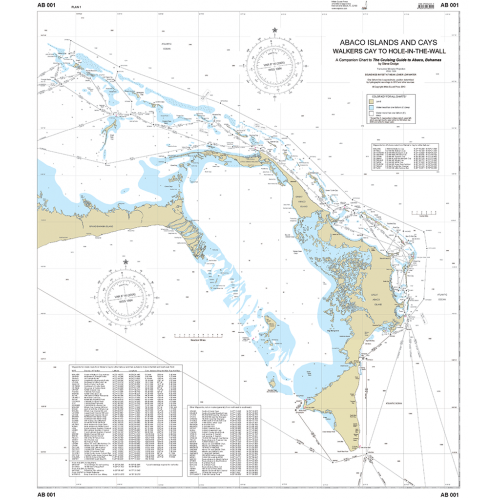 The chart includes anchorage and mooring locations as well as GPS coordinates, sailing routes and distances between waypoints. 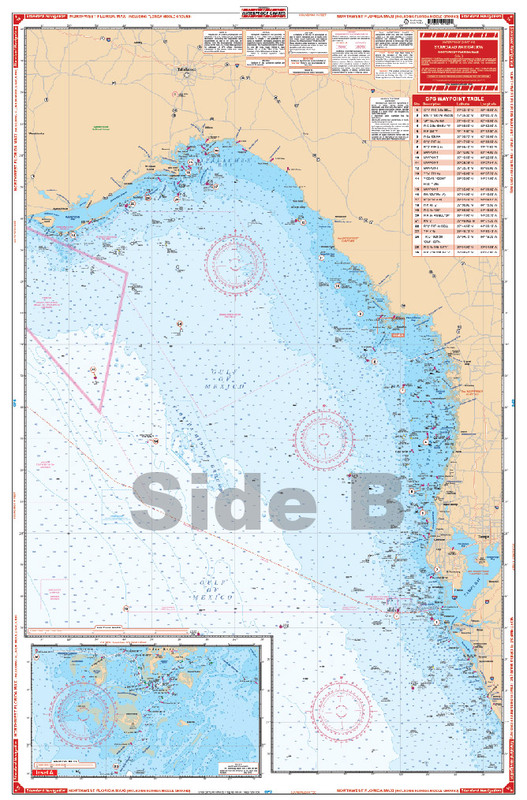 The waterproof chart is excellent for the cockpit and attractive enough to hang on the wall when you get home. This chart features Antigua and Barbuda. Offshore Coverage from the Mississippi River Delta to Tampa Bay. Detail for Cedar Keys area. Soundings in Fathoms. 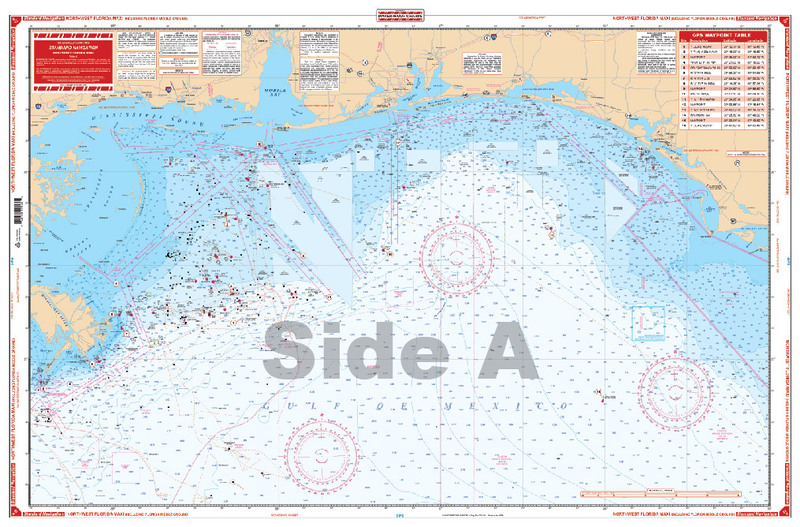 Information from 3 NOAA Charts: 11400, 11408, & 11360. Printed on two sides this new chart includes the U.S. & B.V.I. 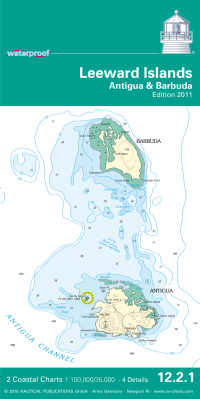 from St. Thomas to Anegada, including anchorage and mooring locations as well as GPS coordinates, sailing routes and distances between waypoints. 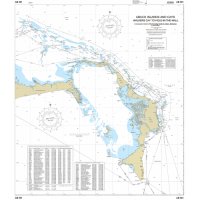 The waterproof chart is excellent for the cockpit and attractive enough to hang on the wall when you get home. 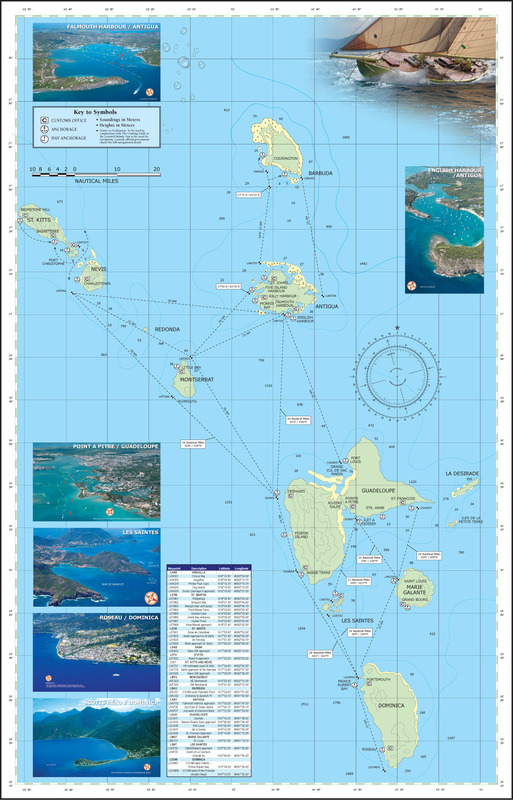 Designed for use with The Cruising Guide to the Virgin Islands, this planning chart is a duplicate of the one you receive in the guide with the exception of being waterproof. Famous for its canal, there is much more. 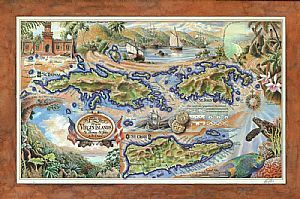 Printed on waterproof, tear-resistant material, this map includes a detailed road network, locations of protected areas and attractions, plus two inset maps of Panama City. 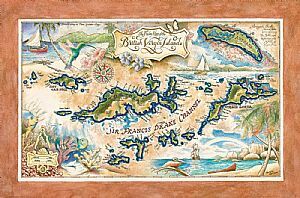 These completely frame-able artist renderings of islands in the Caribbean Sea are a throwback to maps of the early explorers from 15th and 16th century Europe. Great for decorating a home study, or on-board in the salon.